MOSAIC WORKSHOP by HOBBY IN A BOX A mosaic is a piece of art or image made from the assemblage of small pieces of colored glass, stone, or other materials. It is often used in decorative art or as interior decoration. What will you take away: - A mosaic art master piece to beautify your home decor - Food and beverages coupons worth Rs.350 In this workshop, Participants will learn Basic techniques, tools, and materials involved in creating mosaic art, Cutting the tessarae, proper adhesives, substrates, Design/layout and Grouting.Participants are also encouraged to experiment with color and texture to begin to discover the possibilities of mosaic. What to bring: Your creative bent of mind....All materials will be provided by Hobby in a Box at the venue. 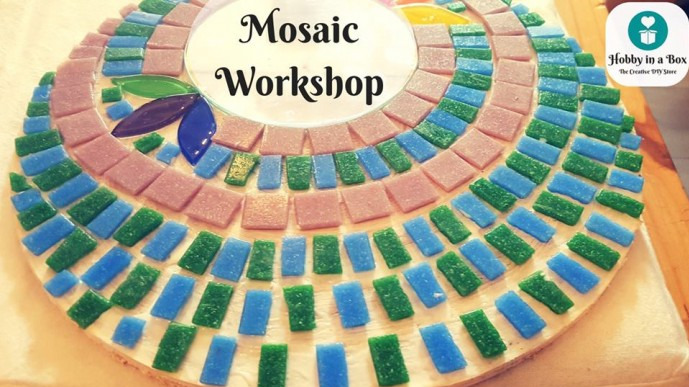 Share "Mosaic Workshop by Hobby in a Box"